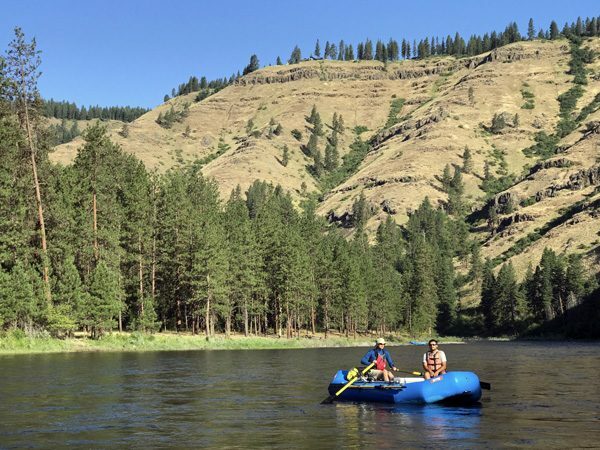 The Grande Ronde River is a fun, relaxing, and scenic river in eastern Washington. 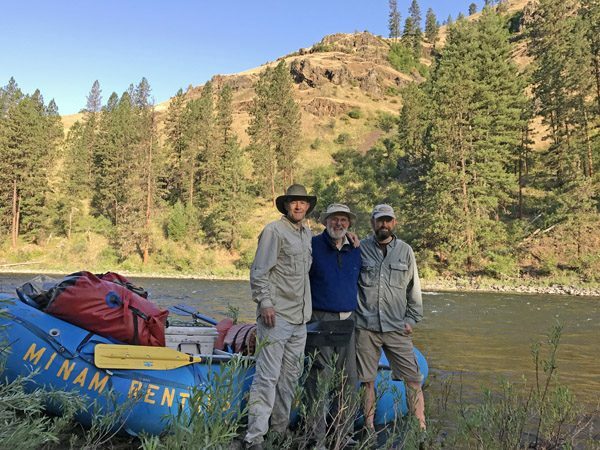 A particularly good route starts at the Minam General Store, where raft and equipment rentals are available, and then meanders about 45 miles through smooth open water plus Class 2 rapids. This route can go by quickly since the river moves along nicely. We did it in 3.5 days, though it could easily be done in half that time. 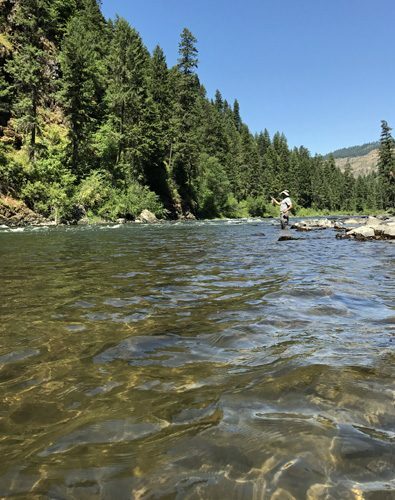 Leisurely paces are best when hanging out, fly fishing, and enjoying company. Camp sites are plentiful along the banks and fairly easy to spot, though all are just unofficial flat spots along raised gravel bars by the river. Be on the lookout for sites with better shade during the hot summer months, plus the trees provide good places to hang your food bags away from critters. Scenery starts out good and then only gets better. The volcanic valley walls become more prominent and interesting along the way, sprinkled with forest and meadows. Only a few homes and one back road is visible over its entire length, and a mostly abandoned railroad track follows the upper reaches of the river. 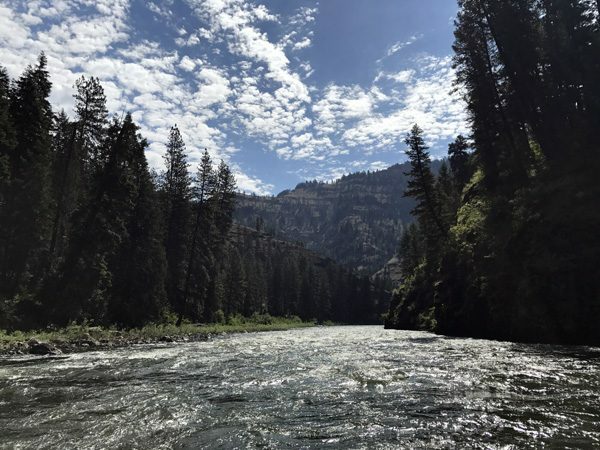 The river is easy to navigate and the rapids are easy to handle. 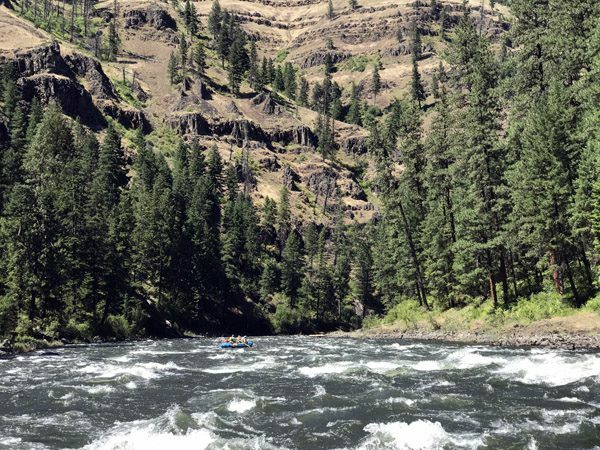 Overall, the Grande Ronde River is a great place for a relaxing rafting and fly fishing excursion with friends and family!